Active Kauai REOs, Kauai MLS Listed: (highlighted (purple) MLS numbers are links). 6388 Puupilo Road, Wailua Homesteads. 2 legal home on 1 acre. $684,900 MLS 622757. auction.com. Sold by auction. Owned byBANK OF NEW YORK MELLON TRS. 4470 Ihope Place #A, Kilauea. 3 bedroom 2 bath home. MLS#622863. Owned by CITIBANK NA TRS. 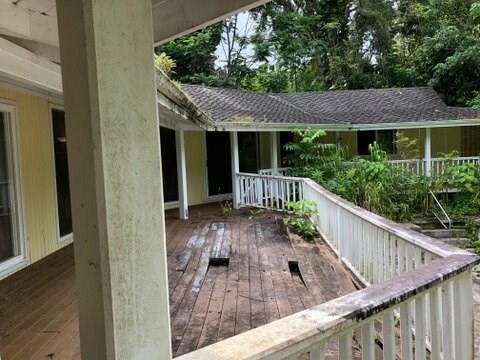 4539 Akaialoa Rd, Kekaha. 3 bedroom 1.5 bath Reduced $359,900. MLS# 621713. Owned by Caliber/Hudson Homes. 2461 Keneke St, Kilauea 3 bedroom 2 bath home sold occupied. $568,000. MLS#621053. Owned by: Bank of New York Mellon TRS. 1370 Hono Ohana Place, Wailua Homesteads. 4 bedroom 2 bath on over 3 acres. $700,000. MLS# 621042. Owned by Wilmington Savings Fund Society TRS. 3888 Gallo Place, Kalaheo. 3 bedroom 3 bath. Reduced to $639,900. MLS# 620981. Owned by US Bank National Association. 3681 Pua-Kenikeni St, Lawai. 3 bedroom 2.5 bath home. Owned by MTGLQ INVESTORS LP. Reduced to $639,900. MLS# 621208. 9825 Uuku Road, Waimea. 3 bedroom 1.5 bath. Reduced to $459,900. MLS# 619810. Owned by Federal National Mortgage Association. 3887 Gallo Pl., Kalaheo. 3 Bedroom 3 bath. Reduced $584,900. MLS#616209 Owned by Wilmington Savings Fund Society FSB. 3691 Albert Rd., Princeville. 3 bedroom 3 bath. Reduced to $674,900. MLS#618191 Owned by Onewest Bank FSB. 4758 Lae Rd. #A, Kalaheo. 1 Bedroom 1 bath on 3 acres. $698,000. MLS# 613705 Owned by Kauai Community FCU. 4424 Kilauea Rd., Kilauea. 3 bedroom 1.5 bath. $519,900. MLS# 619489. Owned by FEDERAL NATIONAL MORTGAGE ASSOCIATION. Cliffs at Princeville. 1 bedroom 2 bath LEASEHOLD condo, MLS# 619344. Reduced to $299,900. Owned by Fannie Mae. Hauaala Road, Kapaa. Vacant CPR lot 18,513 sq.ft. $239,000. MLS# 613696 Owned by Kauai Community FCU. Kalapaki Villas #2805 4121 Rice Street. 2 bedroom 2 bath. $259,900. MLS# 620982. Owned by US Bank National Association. 3264 Wawae Road, Kalaheo. 2 bedroom 1 bath. $899,900. MLS# 620866. Owned by US Bank National Association. 6011 Olohena Road, Kapaa 3 bedroom 2 bath on a half acre. $699,000 MLS#622445. 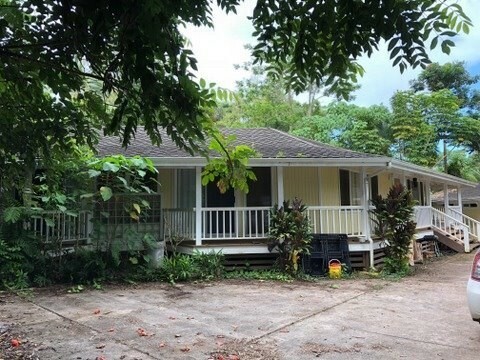 3292-D Kalihiwai Road. 4 bedroom 4 bath estate. $3,995,000. MLS# 607132. Owned by Bank Centre Corp.
4436 Kanaele Road #B, Kapaa. 3 bedroom 2 bath. Reduced to $722,000. MLS# 620512. Owned by Deutsche Bank. 1633 Kuahale Street, Kapaa. 3 bedroom 2.5 bath. $485,000. MLS# 620903. Owned by Penny Mac Corporation. Old for $485,500 CNV on 10/31/18. The current trend has been that the Kauai bank owned properties (REO) have been listed high. This is usually due to a high Broker’s Price Opinion (BPO) or high appraisal by a 3rd party. However sometimes it is because the “investor” just wants a higher price. It can be frustrating for me, my asset manager, and buyers when prices are too high. I usually have to do weekly or monthly reports. In the web based report I have to explain why the property hasn’t sold yet. Often I report that the property is listed $100k over my price recommendation, so of course it hasn’t sold. Most banks will reduce the price of an unsold Kauai REO every month. But don’t keep waiting for price drops. Someone else might beat you to the property. 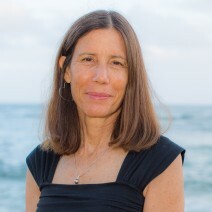 If you have questions on buying a Kauai foreclosure property or Kauai REO feel free to call or email me, if you are not working with another agent. Otherwise I will be happy to help you with your purchase.